Food and I have a love-hate relationship. I’m a picky eater, though far less picky than I was years ago. Ask my husband (and Mer). I often look at a multi-page menu and snap it shut without seeing one item I’m interested in eating. I won’t consume just for the calories. I want to really enjoy my meal. I love veggies, wheat bread, seafood, creme brulee and coffee. Most other foods? We’re friends, but meh. I could take or leave most of them. Then there’s beef, potatoes, raspberries and coleslaw. Thanks, but no thanks. Lately, I’ve been playing with my grains – Bismati rice, brown rice, whole wheat pasta, cous cous, quinoa. I swap them out and combine them with random veggies a la my fridge. So I was thrilled when FitApproach and SweatPink offered the chance for me to try and review a new-to-me product, Freekeh Foods, a Minnesota-based company that launched in 2012. Freekeh is an ancient grain that according to legend, was created by accident by accident young wheat fields in a Middle Eastern village were set ablaze. In an attempt to salvage damaged crops, villagers rubbed away the burnt chaff and found that the roasted kernels inside were delicious. 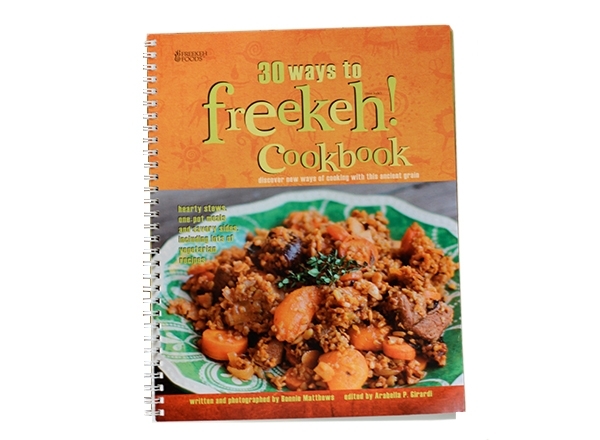 Freekeh (pronounced Free-kuh) is an organic, wheat-based grain, so note that it is NOT gluten-free. 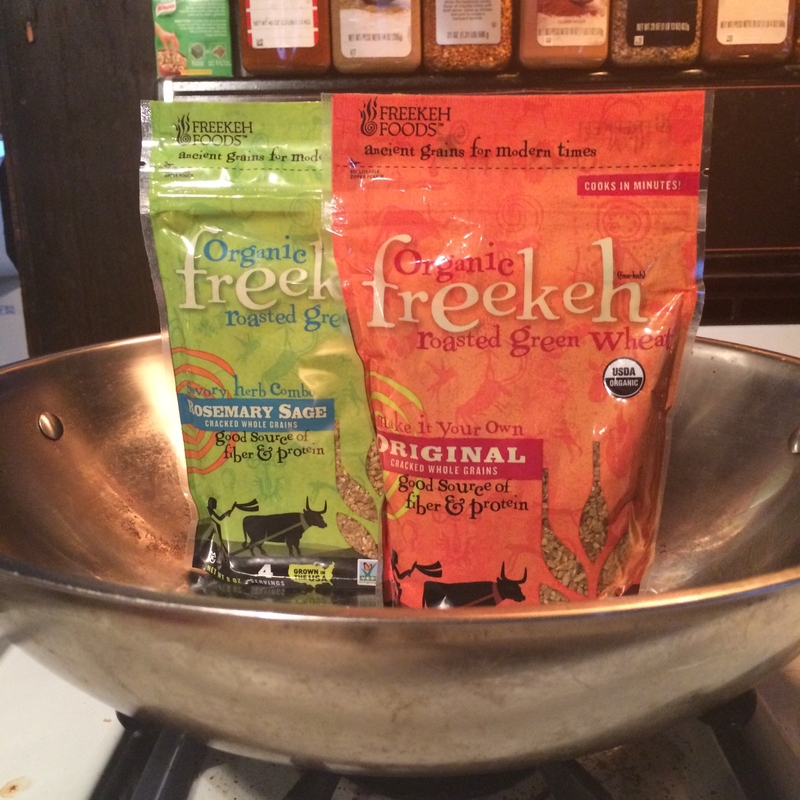 Freekeh is simple to make – on your stovetop or in a rice cooker. Add water and let it simmer. It’s flavorful, with a slightly nutty flavor and chewy texture. It’s high in fiber and protein and has fewer calories than quinoa and white rice. it’s versatile for use in a variety of recipes, as part of a main dish or side dish. Each 8 ounce package costs $4 (and includes four servings.) A case of six packages retails around $14.50. But I got a bit more creative with seasonal veggies when I tested the original flavor of Freekeh. 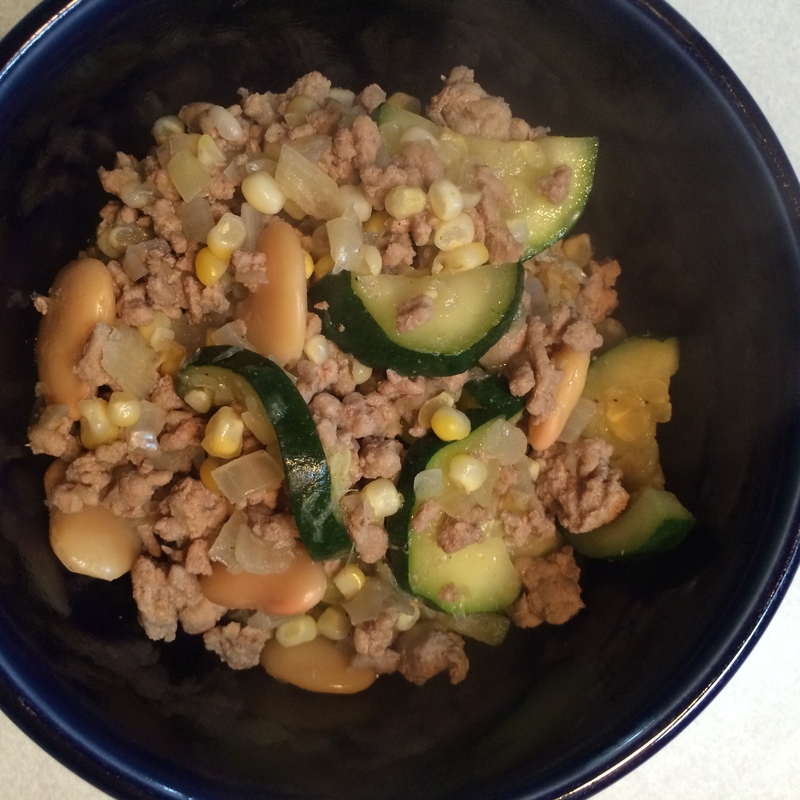 I mixed my package of original Freekeh Foods with onion, zuccini and 2 ears of sweet corn, ground turkey and butter beans, 2 Tbsp. of cumin and a bit of salt and pepper. Like what you see? You have the chance to win one package of Freekeh Foods (winner can pick between original, rosemary sage or tamari) AND a cookbook, which retails at $14.95. U.S. residents only please. Click here or the below graphic to enter the giveaway, which runs though Aug. 30. Good luck! Freekeh Foods though FitApproach provided Freekeh for me to try. No compensation was given outside the samples for this post. All words, opinons and cooking skills are my own. Prizes will be sent directly from Freekeh Foods. This entry was posted in Food, Giveaways and tagged cooking, food, Freekeh Foods, giveaway, grain, healthy cooking, sweat pink, Vic, Victoria. Bookmark the permalink. I think rosemary sounds amazing. 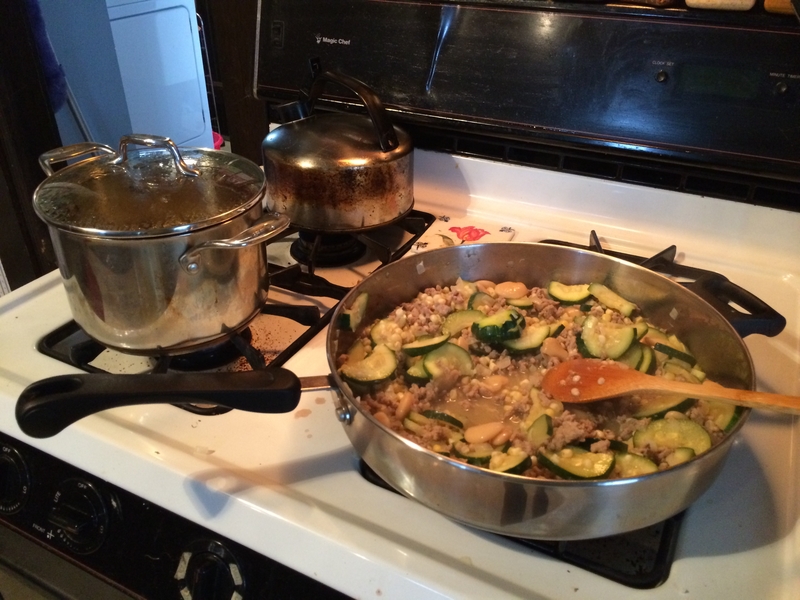 I love zucchini and turkey together. How genius. I am by a bunch of farms and I wish I had this awesome ingredient so I could make it for dinner. Victoria, we are big fans of grains, beans and rice in my house. Have you tried wheatberry yet? That has been one of our favorites. We add it to may salads and receipies. Or just by its self. So yummy. There are several varieties out there if you decide to try it Google can give you more info on this versatile grain. Is Freekeh available in regular supermarkets or does it require a trip to a speciality market? I’ll keep an eye out for it. We did try wheatberry a few years back when J was on a health kick. I can’t remember what we thought of it honestly! I think I would like to try the Rosemary Sage or the Original and add my own spices to it. 🙂 It sounds like you can do so much with Freekuh and I am always up to try new things! That looks delicious. I love the use of the seasonal veggies! This looks delicious! I love trying out new grains. I’d like to try Rosemary Sage! I’ve always been a brown rice person but I would love to get out of my boring rut and try something new! The original sounds best to try a wide variety of things with.